Rajinikanth's 2.0 has done well at the Chennai box office on its ninth day (day 9). In spite of a few new releases in Kollywood, the Shankar-directorial made better collection than other movies. Now, the mega-budget movie is getting ready to shatter a record of SS Rajamouli's magnum opus Baahubali 2. 2.0 has narrowly missed to hit a crore mark as the film earned Rs 98 lakh on its 9th day at the Chennai box office. It saw a minor jump in its collection on Friday compared to Thursday where it made a collection of Rs 95 lakh. The total collection of the movie now stands at Rs 15.57 crore in the capital city of Tamil Nadu. It is now the second biggest hit at the Chennai box office in 2018 after Sarkar, which has earned over Rs 16 crore till date. The film is expected to surpass the business made by the Vijay-starrer on Saturday. However, the Rajinikanth-starrer will achieve major feat when it surpass the lifetime business made by Baahubali 2. 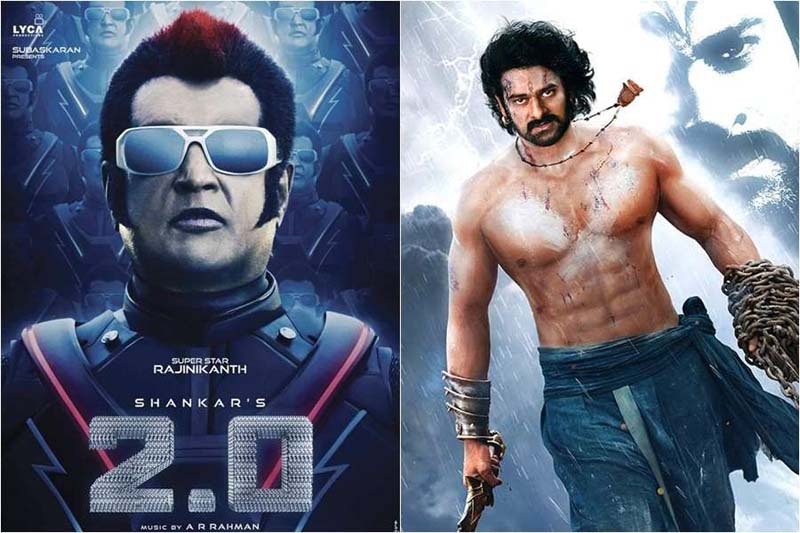 Baahubali 2 has earned a little over Rs 18 crore and it is now the second highest-grosser in Chennai after Rajinikanth's Kabali, which raked in around Rs 24 crore in its lifetime. 2.0 is expected to beat the record of SS Rajamouli's film on Sunday (11 day). However, it has to be seen whether it becomes the biggest hit of Chennai of all-time by shattering the record of Rajinikanth's earlier movie 2.0. Coming to the Tamil Nadu box office, the film, which also has Akshay Kumar playing the antagonist and Amy Jackson as the female lead, has earned close to Rs 75 crore in Tamil Nadu.